A fire department in Arizona asked us to demonstrate F-500 Encapsulator Agent on a creosote railroad tie fire. The creosote adds a Class B component to a Class A fire, so water would have trouble extinguishing this fire. And foam is not recommended for three-dimensional fires because it can’t form a blanket to smother the fire. 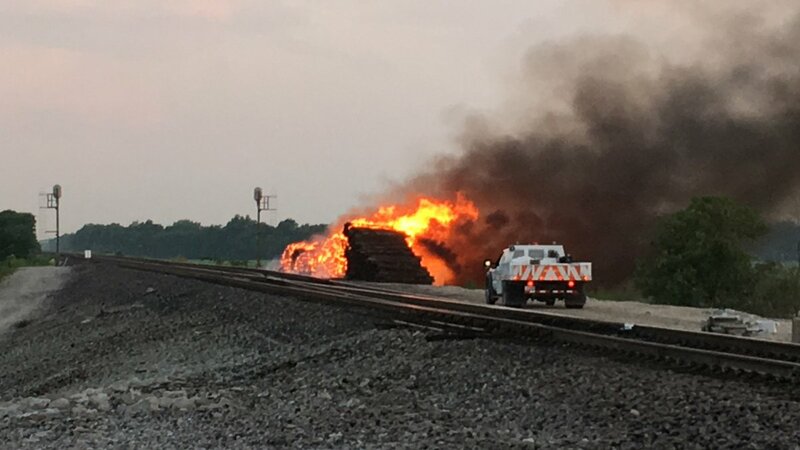 Of course, F-500 EA can extinguish creosote railroad ties. The F-500 EA encapsulates the creosote, rendering it nonflammable. It rapidly cools – if you remove the heat; you remove the fire. And, F-500 EA interrupts the free radical chain reaction, turning the thick, black smoke into a warm, white vapor. Independent tests show this eliminates 98% of cancer-causing toxins.